up on the wall, originally uploaded by ordinarymoment. 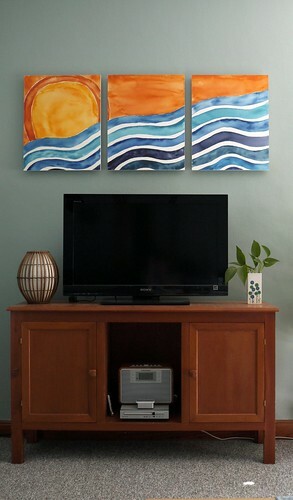 Sharing the watercolor Pinterest project, mounted on board then hung above our television. Love the brightness + graphic pattern it adds to our living room. Once again inspired by the painterly, bold designs of vintage Vera Neumann.